Each 1/2 meter long grate features four lateral anchoring lugs to insure the grates withstand high-speed traffic and snowplow blades. 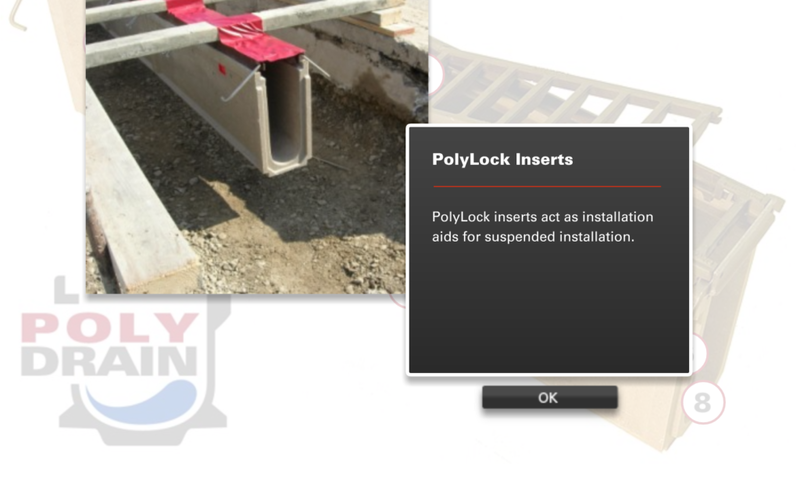 Integral or bolt-down systems offer no such protection. 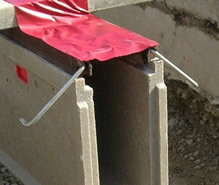 I nterceptor is a precast polymer concrete trench drain system for highway and roadway surface drainage. 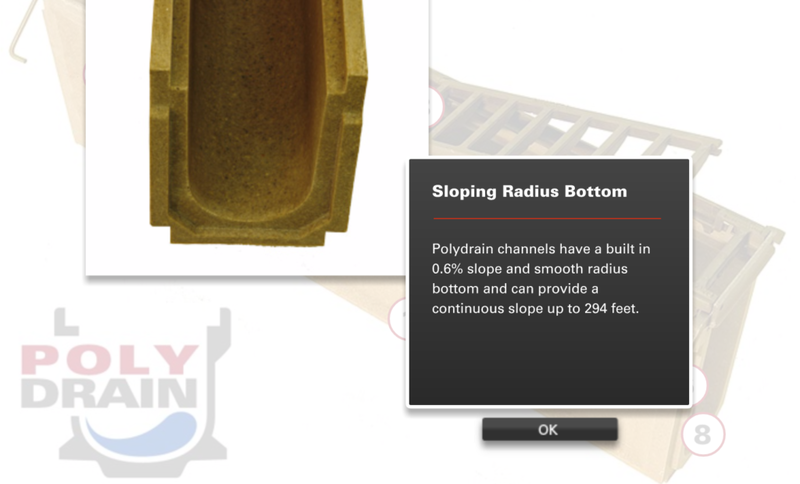 Since 1983, the PolyDrain precast trench drain system has provided superior performance and durability for commercial and industrial surface drainage solutions. 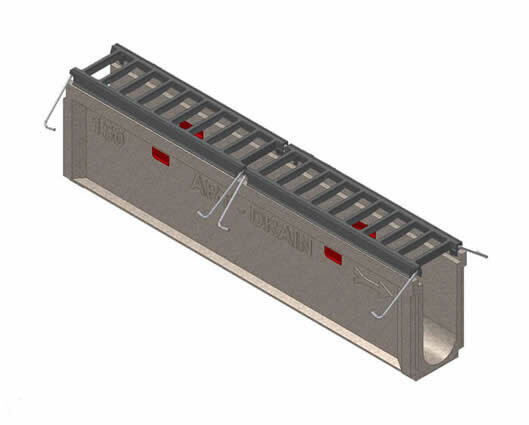 Development of the PolyDrain Interceptor series brings the efficiencies of a precast polymer concrete trench drain system to roadway design and construction. 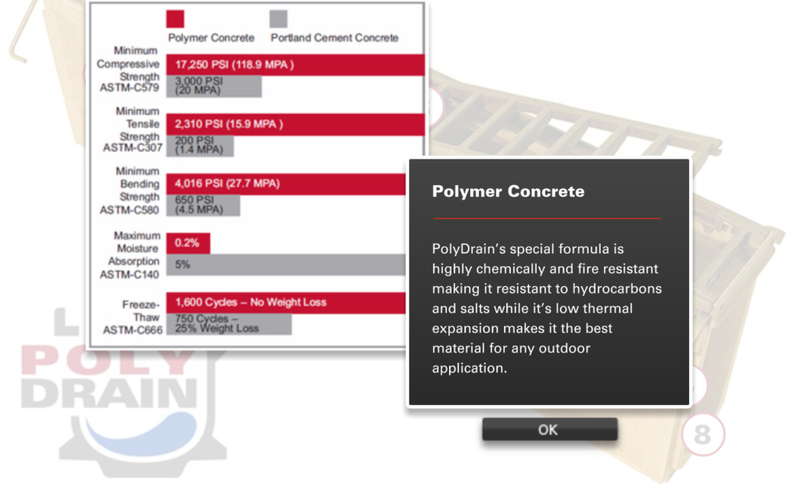 Polymer concrete is resistant to salt, oil, most acids, and alkalis. 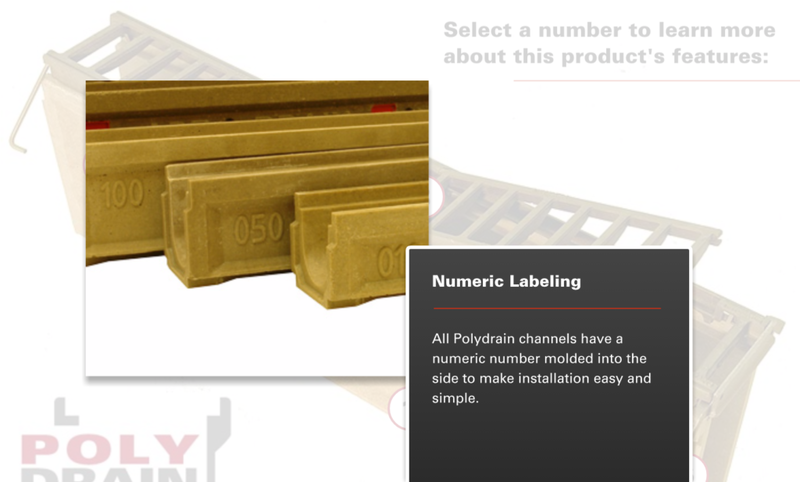 This makes it an excellent material choice for a trench drain system for roadway applications. 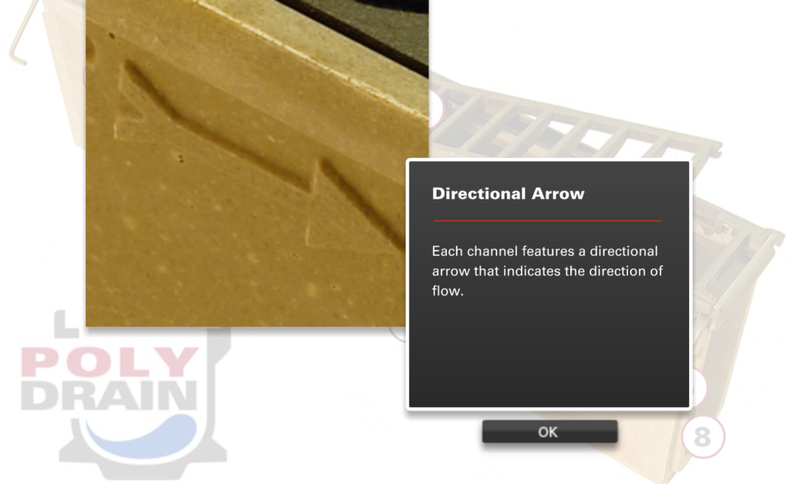 Roadway design challenges such as limiting surface water spread and limiting drain inlet bypass can be accomplished by use of a trench drain system. Dangerous hydroplaning can be reduced while reducing roadway construction costs and increasing pavement service life. 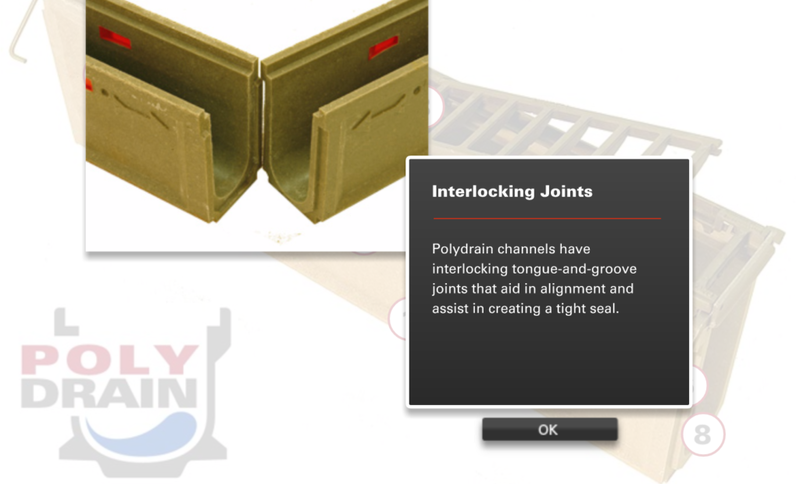 Continuous inlet line drainage is recognized as an effective solution to water sheet flow problems. 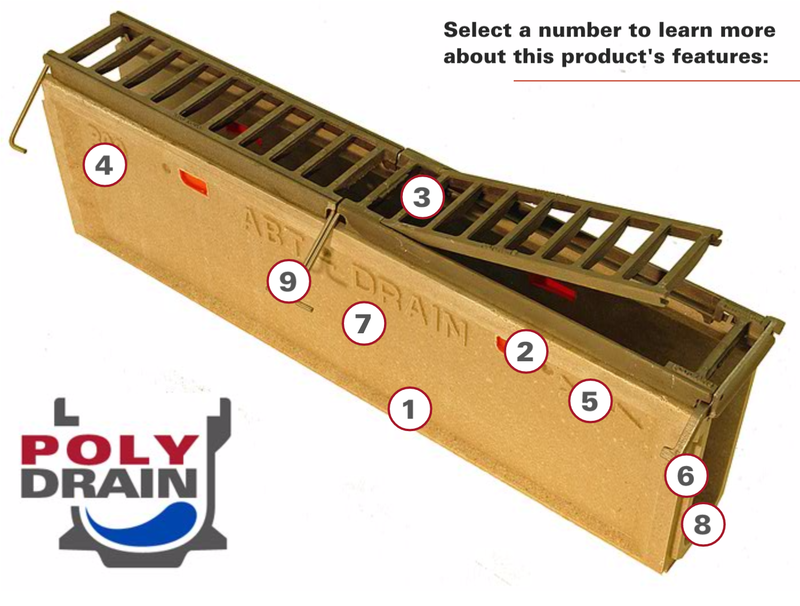 The high capacity Interceptor trench drain system is founded on the proven ABT PolyDrain trench drain system and surpasses the limitations of traditional slot drains. 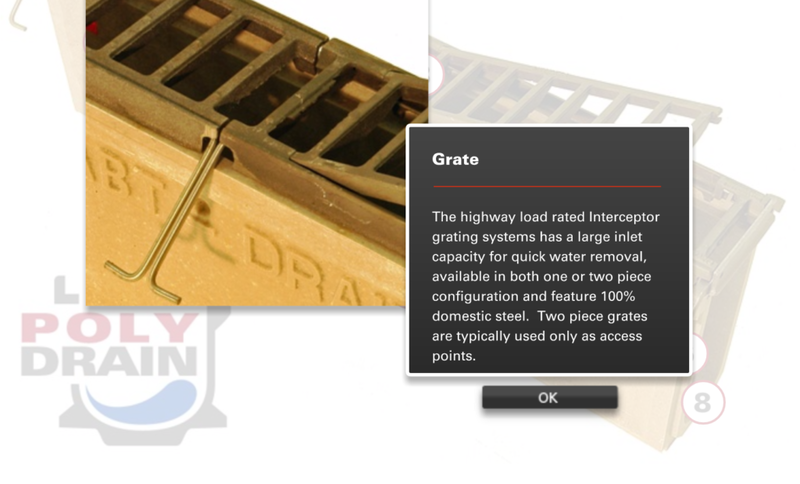 Based on discussions with Department of Transportation Hydraulics Engineers from several states, the Interceptor A-67 drain channel and drain grate were developed by ABT to provide maximum inlet capacity while maintaining “bicycle safe” openings. 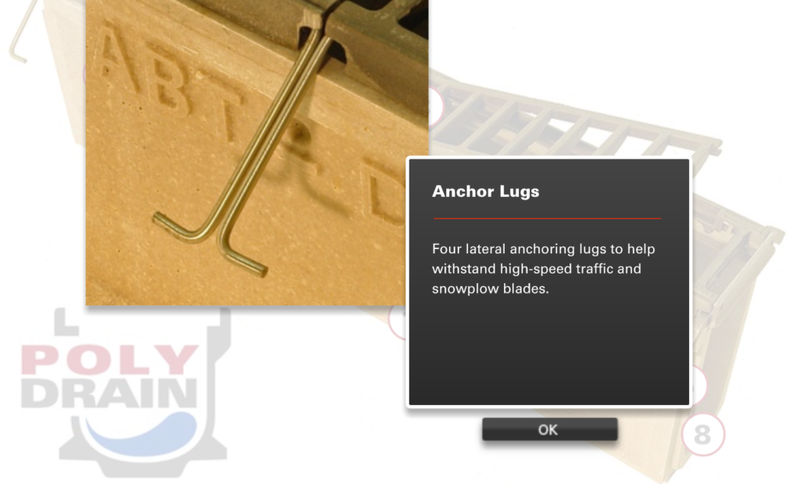 Four anchoring lugs help the Interceptor A-67 drain grate withstand high-speed highway traffic and snowplow blades. The Interceptor A-67 trench drain system provides the design flexibility to place the exact amount of open drain area just where it is required for any highway surface drainage conditions. 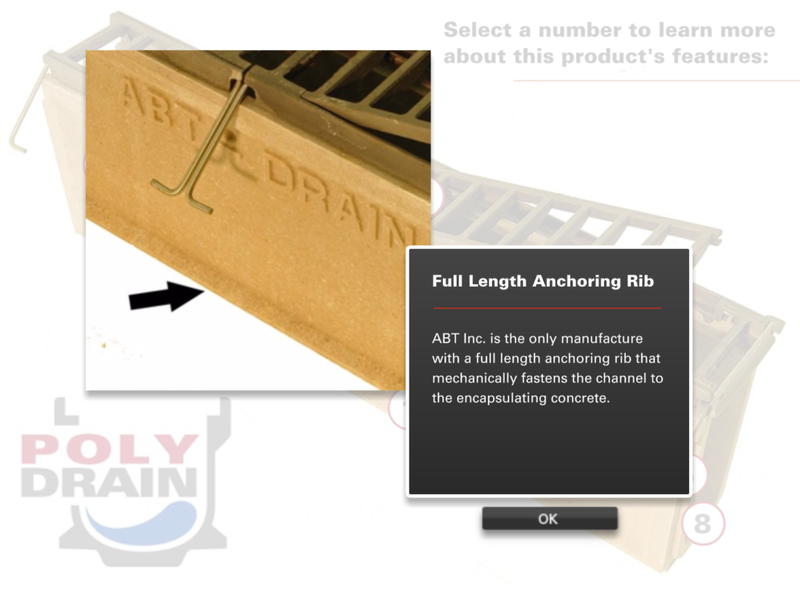 The Interceptor precast trench drain system for roadway construction is manufactured by ABT Inc., the industry leader in modular drainage systems for commercial and industrial use.